Gabriel Lopez se hartó. Following his latest experience in the production of Daughter of God/Exposed, he went on to assemble his own creative filmmaking team. Lopez is the heart behind Washington Heights: City Inside a City, a series chronicling life in the famous New York City neighborhood. 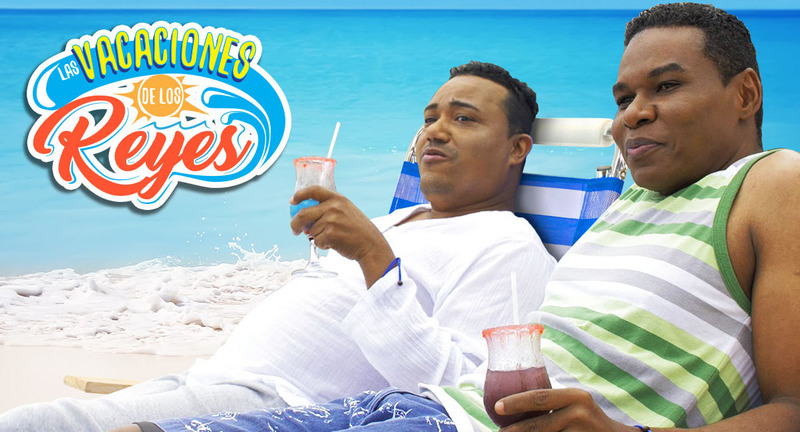 Most importantly, the production is by, for and featuring Dominican-Americans. I spoke with Lopez about Dominican culture and his collaborations with his neighborhood residents as well as filmmaker, Ruben Rivera. In turn, he introduced me to a Dominican immigrant reality unbeknownst to me about the oppression inflicted on the Dominican community of Washington Heights. Gabriel Lopez was late to our meeting. With two Dominicans, it was bound to happen. I was just glad it wasn’t me. I waited for him at the Flor De Mayo restaurant on the upper west side when a familiar looking face approached my table. He introduced himself as Ash Roeca. Gabriel had forgotten to tell me that he would accompany us for lunch. It would not be the last time he surprised me. Ash is a Dominican-American actor, screenwriter and director. He began working with Gabriel on the upcoming series, Washington Heights: City Inside a City following Gabriel’s disastrous experience with Lionsgate’s Exposed, a film that, in short, was supposed to center a Dominican family and characters of color but ended up being whitewashed into a Keanu Reeves white savior cop film through Hollywood’s process. It was through that film that I connected with Gabriel. And I knew as soon as I spoke with him—his energy pulsating through the phone—that I wanted to follow up on his current projects. When Gabriel arrived, I already had an idea through my conversations with Ash that he is someone with a contagious personality, constantly bursting with creativity. Immediately, Gabriel joked with the waiters and ordered his favorite picks for our table. I asked him again about his experience in Exposed and was pleasantly surprised by his dismissal of the whole thing. He learned his lesson but he’s moved on and is focused on original work. City Inside a City is his attempt at rectifying the image of his beloved Dominican neighborhood by telling the stories that shaped the Dominican immigrant experienced as he, his family and friends lived it. I attempted to explain that as someone born in the early 90s and who for the past 16 years has lived in the gentrifying neighborhood of Bushwick, I missed the experience of growing up in the Heights. In many ways, I’m an outsider to this world, a shared Dominican immigrant community, and only know glimpses of its history. Read “Wild Cowboys” they both told me. “I want her to meet Paq” Gabriel says turning to Ash. Ash appeared surprised that Gabriel wanted to trust me with this. They told me that this person is one of the main reasons this project is coming to fruition and with his blessing and guidance they have been able to borrow a lot from his life. Read “Wild Cowboys” they repeated—but keep an open mind to the one-sided narrative. 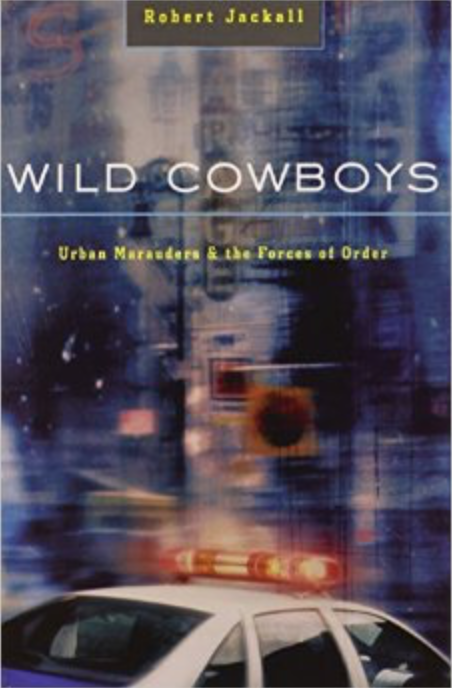 Ash in particular explained that Robert Jackall’s “Wild Cowboys: Urban Marauders & the Forcers of Order” is one of the books he read when he was younger that had an impact on him. For him, to get to tell a different side of this story is a dream come true. “Wild Cowboys” chronicles the true chain of events surrounding the prosecution of a young gang of Dominican men involved in the drug business during the 1980s and early 1990s. Robert Jackall spent years working in the field with police detectives and prosecutors. This book is the assembled result of that work. Jackall narrates meticulous details to weave together what from afar may appear as random acts of violence. But it is told from the perspective of the law, so to say that at times the book is unfair to the communities involved is an understatement. A few of the core members of the Wild Cowboys (New York Times reported that there were 42 members) included the leader Lenny Sepulveda, his brother Nelson Sepulveda, Daniel Rincon a.k.a. Fat Danny, Wilfredo de los Angeles a.k.a. Platano and José Llaca a.k.a Pasqualito. Their business was crack and cocaine. During the crack epidemic of the time, it is estimated that they generated over 15 millions of dollars per year, spread out over Washington Heights, the Bronx and Brooklyn. Crack itself is said to have Dominican origins. 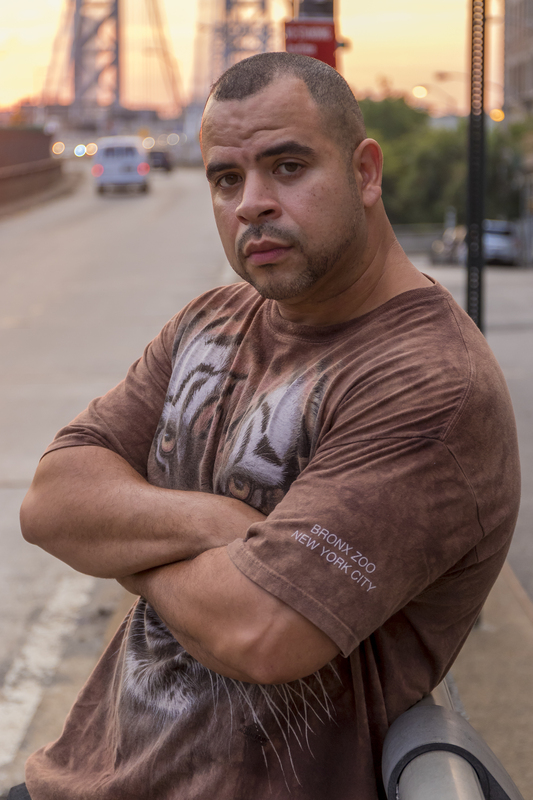 As Jackall explains, Crack came out of Washington Heights in 1985 and “street legend” attributes its creation to Santiago Luis Polanco-Rodriguez a.k.a Yayo. Yayo ran the Based Balls, a crack distribution ring in the mid-1980s. Yayo later fleed to the Dominican Republic and is apparently a changed man. A few members of the Wild Cowboys pitched (sold crack vials) for Based Balls before establishing themselves separately. Still, though this may be an often untold story about the origin of crack, we can’t ignore that the crack epidemic that broke out in communities of color is closely tied to CIA operations that sought to dismantle radical movements at the time. Drug trafficking is of course associated with extreme forms of violence and murder. And the Wild Cowboys were not the exemption. They were the rule. It was this routine of killings and coercion that eventually led to their downfall in what many describe as a bloody urban war. On May 1995, eight of the main Wild Cowboy members were found guilty to a number of violent crimes and were sentenced to a combined total of 868 1/3 years in prison. At first, I was eager to read this retelling but was soon left with a mix of sadness and disgust. As immigrants in such a huge city, it can often feel — as was the case for me — that our communities are invisible to the powers that be. I was always under the ignorant impression, again as someone not living in Washington Heights, that Dominicans have had very little effect on the overall history of the city, let alone the country. It was further disheartening to learn of the systemic violence and corruption that plagued the Dominican immigrant community during those early years of significant growth in our population, the same violence we know other communities of color faced. 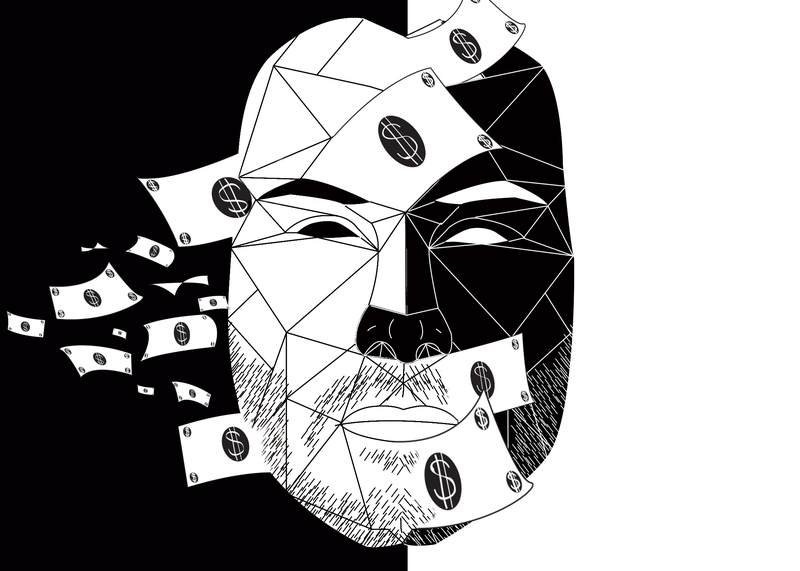 Several rushes of disgust occurred throughout various parts of the book — not from the actual content, but at the manner in which Jackall blatantly stereotypes and dehumanizes the characters involved. “Wild Cowboys” ultimately presents a distorted picture of the Dominican culture without bothering to acknowledge the layers of poverty and U.S. policies that created the drug trafficking world. Jackall uses race when it is convenient to fit his narrative. In the same way a racist friend might shout “I’m not racist, I have black friends,” he deliberately mentions the races of police officers of color only after bashing the same underrepresented communities that they come from. The cops are made out to be angels, with sections devoted to their hobbies and mannerisms while everyone else was depicted as either “stupid” or a one-dimensional monster. “Wild Cowboys” forced me to reexamine my relationship to the drug lord Latino stereotype that I have been fighting against since my own immigration. I was not aware of the deep involvement of Dominicans in drug trafficking; it was so close to home. As a Latina, I have suffered from the image of aforementioned stereotypes but as a Dominican growing up in Bushwick, there was a disconnect I did not grow up around that environment; I was somehow protected. I waited for Gabriel at the Hudson View Restaurant on W 181st. When he came in, we had to move to a bigger table because he forgot to tell me (again) that someone else was joining us. Shortly, as Gabriel was professing his love for the way Dominicans have refused to fully assimilate in this country, Ruben Rivera interrupted us. Ruben is the final player in Gabriel’s creative team. Like Ash before him, Ruben seemed a bit apprehensive to me but once they started to talk about their project, the energy and passion was abundant. Ruben and Gabriel grew up in the same circles. A “pureblood Puerto Rican” (as he calls himself) Ruben lived in the South Bronx and spent a big chunk of time in the Heights and Dyckman area, where Gabriel also grew up. “That’s why me and Gab clicked so easily because we share something, I respect Gab, he respects me,” Ruben told me. Ruben has been in the acting industry for years, playing minor roles in films such as Al Pacino’s Carlito’s Way. But it is his long career in the nightlife industry as a doorman and partner in some of NYC’s most exclusive spots that have brought him friendships and connections that he has been able to use to bring this project to the right people. Ruben credits all of the work to Gabriel whom he said was able to bring his community together for the filming of the first three episodes. With no resources and nothing to offer but their respect for the history of the neighborhood, they have received positive feedback from all involved. “[We] tried to make it as real as possible so when they sit down, they could feel the sweat, they could feel the pain, the struggle, what families went through,” Gabriel said. “How were you introduced to this world?” I asked. But things are changing now. Washington Heights is rapidly becoming gentrified. “Ready for your journey?” Gabriel asked. “How did you meet Paq?” I asked in return. Gabriel also remembers looking up to “those guys” but never getting too close. He considers it a privilege to have met Pasqualito and to share his story. “Everybody wanted to be like rappers but really rappers wanted to be like Dominicans,” Gabriel said. As they reflected on the images available while they were growing up, they adopted a defensive tone. Like Gabriel, Ruben grew up with portrayals of drug dealers with big chains and plenty of women. With few opportunities for advancement, it was easy to want that life without fully understanding what it meant. Many of Gabriel’s friends died before they reached the age of 17. It was in a brief stay in prison that he learned purpose. And where he officially met, José Llaca. 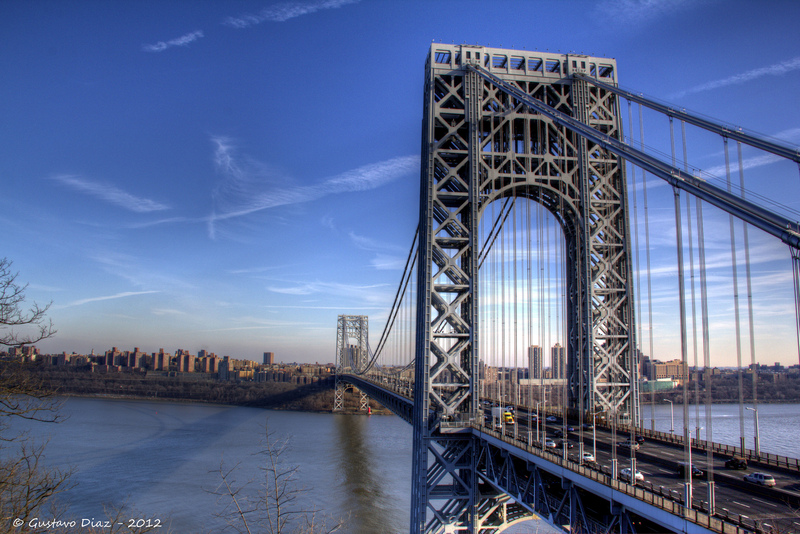 On our way to the Sing Sing Correctional Facility, we drove through Washington Heights. Like children at a toy store, Gabriel and Ruben pointed out blocks they used to hang by; nightlife spots that were popular drug havens; and reminisced over their experience during the 1992 riots that shook New York City after the death of Kiko Garcia. Kiko García was a Dominican man shot and killed by police, riots erupted with messages including those of solidarity with black American communities that were also oppressed by police. We’ve all heard the message before: Easy money is not that easy. But hopefully the lesson sticks when the messenger looks like you and I. On a short moment of silence, Gabriel called Pasqualito’s brother and put him on speaker. I don’t even catch his name but he was excited that we were visiting Paq and gave us his blessing. That’s the kind of person Gabriel is, always talking to someone and making those around him comfortable. 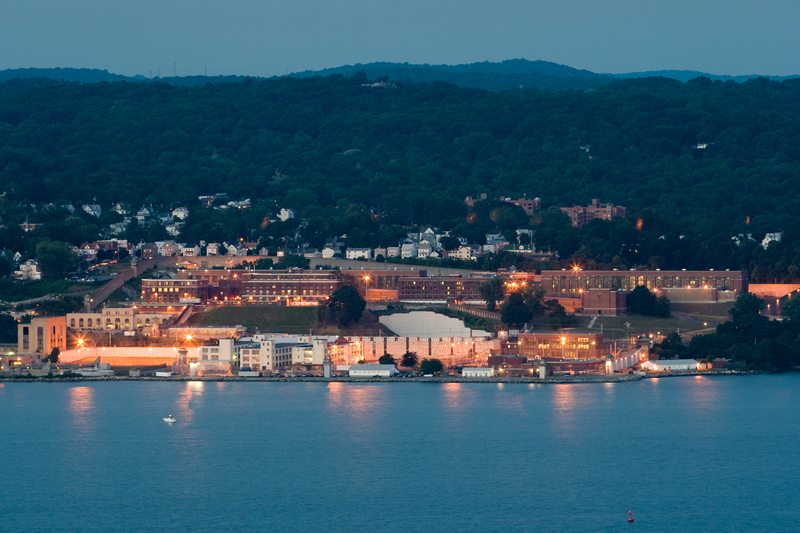 There’s a decent view of the Hudson River at Sing Sing although I have a hunch the inmates don’t get to enjoy it much. Inside, Gabriel got ahead of himself and mentioned to the guards that I have metal in my chest. I was forced to explain my past heart surgery procedure to two guards. The more I explained, the less they understood me. They instructed me to go to a nearby restroom, remove my bra and place it in a brown paper bag. The toilet and sink were covered in plastic but either way they repeated that I must not do anything else in the restroom. Okay. They put my bra through the metal detector and gave it back. I changed. Then, there was a problem with my blouse, it was sleeveless and it did not matter that I was wearing a cardigan over it. Ruben offered to lend me his sweatshirt. I was patted down before I could finally go in. A man next to me, wearing a red vest with endless metal zippers, passed through with no problems. One of my first impressions as a young immigrant in the states was that most public schools look like prisons. I had always felt like a prisoner throughout my schooling. Sing Sing confirmed that suspicion—bulletin boards and all. Finally inside what looked like a middle school cafeteria, José Llaca, a.k.a. Pasqualito was already waiting for us. As we walked towards him, I noticed he was wearing a burgundy polo tucked into blue jeans and sneakers. He was composed, a man aware of his body. He was clean-shaven with a closed cut haircut and aside from the tattoos on his arm he has extremely clear skin. I was itching for information. Gabriel and Ruben greeted him like old friends. He looked genuinely happy to see them. Gabriel introduced me. Pasqualito was expecting me of course, this isn’t someone that just meets random people. We started to talk about Robert Jackall’s “Wild Cowboys.” He’s read it. I asked if Jackall ever reached out to him to get his experience, take or… anything. “No,” Pasqualito has a scratchy voice, almost like when you’ve been quiet for a while and then try to speak up. Quickly looking away from my gaze, he said “Yeah but I don’t care.” Did I imagine a pained look? His eyes looked warmer the next time he looked my way. Paq likes to stay up-to-date with world events by watching TV news. When he mentioned Hulk Hogan’s legal battle with Gawker and Ruben and Gabriel were clueless, he jokingly lectured them on the importance of knowing what’s going on around them. I mostly listened for the remainder of the visit. At one point, Gabriel broke down in detail every single episode of the show so far. Paq’s eyes lit up as he remembered his life, adding small details here and there. Gabriel, Ruben and Paq look back at their experiences with a strange pride. I could not help but feel that at 23, sentenced to 116 2/3 years, Paq’s life stopped and all his memories are stuck in time. He would say otherwise. As if reading my mind, Paq recalled a specific time during his first few years in prison in which a guard made a comment to him suggesting that he was still just “playing a game.” He responded with: “This is my life, I’m just living my life. It’s just in here.” His reality is one that too many men of color face in our country, one that impacts Dominican communities daily. When it was time to go, Paq stayed seated and watched us go. As we looked back at him, I knew I was not the only one with an unusual desire to bring him along. Later, as Gabriel was retelling an event in which he and a friend found themselves with a bag of counterfeit money, I naively asked him if that is something to be proud of. When we met again, Gabriel informed me that they have signed a contract with ITV America’s Leftfield Entertainment. When I asked about his team, Ruben and Ash, he quietly tells me that due to differences, Ash Roeca has exited the project. I didn’t push him for more information. His energy and passion for his work are still there. City Inside a City is evolving into more than just a web series. The project is set to capture the invisibilized history of oppression against Dominicans in this country that other communities of color have unfortunately faced as well, and in telling this narrative, Gabriel Lopez reminds us of the resistance in our community. “If cops get offended, if politicians get offended, that’s on them because the truth always hurts,” he says. City Inside a City is currently in development. Stay tuned for release dates and more information.